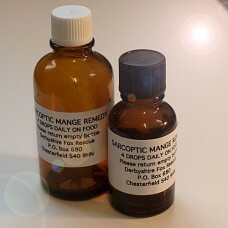 The Sarcoptic Mange remedy that we supply (Arsenicum Alb & Sulphur 30c) is a homoeopathic remedy that has been proven to work against the dreadful condition of Sarcoptic Mange in foxes, dogs & domestic pets. 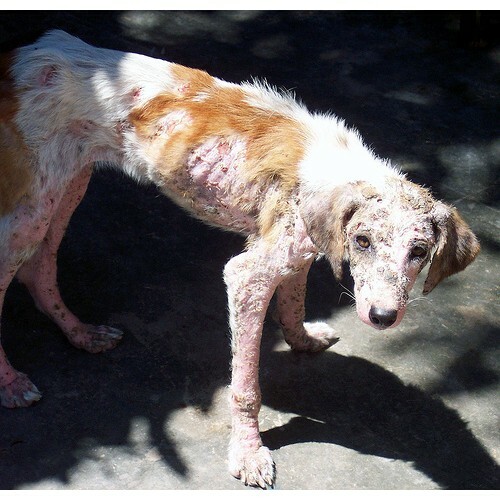 Since the Sarcoptic Mange remedy is made up of natural ingredients there is no fear of overdosing and nothing to worry about if a non-infected fox, dog or other animal or bird takes the treatment. To avoid the local cat population stealing the Sarcoptic Mange treatment meant for the fox, we suggest that it is administered via jam, honey or peanut butter sandwiches, foxes love sweet things - cats do not! 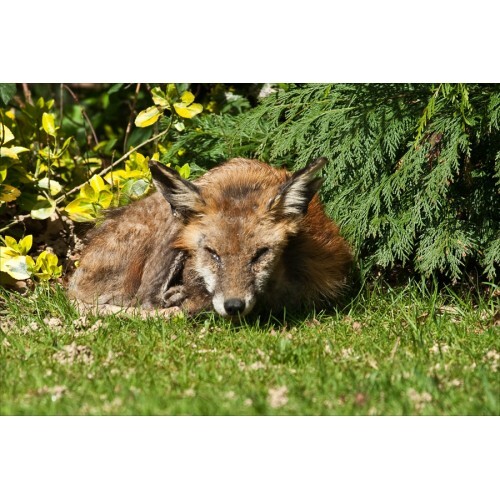 Since foxes are instinctively selfish with their food, if you have more than one fox visiting your property suffering from Sarcoptic Mange we recommend that the food is scattered rather than placing it in one spot. This will then ensure that more than one fox feeding at the same time can do so without having to be nose to nose with each other. Our Sarcoptic Mange treatment is totally safe and easy to use - Dosage: We recommend that 4 drops of the treatment should be administered to each animal daily on food and in drinking water. So if you have several foxes visiting cut the sandwiches into 6-9 pieces and put two drops on each small piece, and then scatter them around the area you see the foxes. 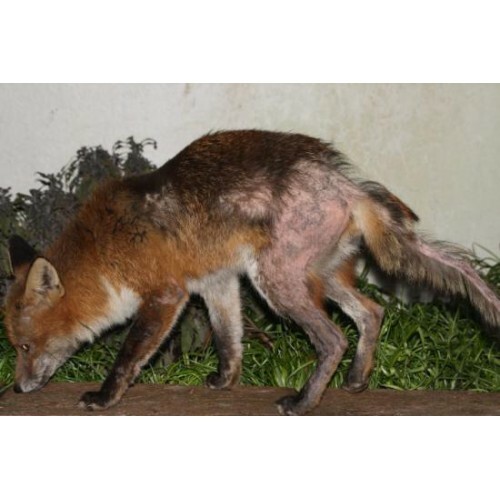 After roughly three/four weeks of treatment you should notice the foxes scratching and biting less and eventually you will see the new hair growing back. 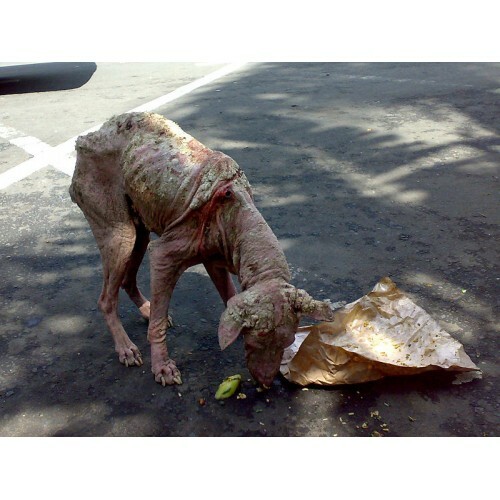 Once the hair has started to grow back you can stop the Sarcoptic Mange treatment.